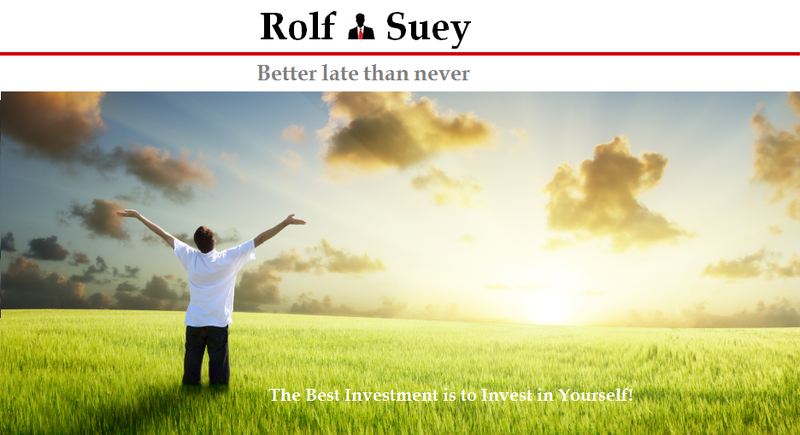 In the financial blogosphere in Singapore, there are many articles on the gold and silver that I read before. Normally topics are quite similar. It revolves around, reasons to own gold and silver to hedge against inflation, as insurance for our stock portfolio in case market collapse, returns of the precious metals and various instructions how to buy the precious metals directly or indirectly. In Part 1 (Refer here), I also spoke about my experience of owning gold and silver as well as what Warren Buffett and Ray Dalio think about the precious metals. The blog article I have not read thus far is the history of the gold and silver. In this post, I shall peek into the history of precious metals (predominantly gold) and its impact on the world monetary system. But before that, perhaps it is necessary for us to know some interesting facts and definitions of currency, money, gold standard and fiat currency. 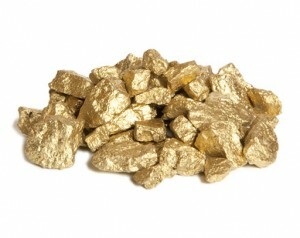 Do you know that Gold today on the Earth’s crust is thought to be created by asteroid impacts about 4 billion years ago. Gold is known to the one of the least reactive chemical elements and highly anti-corrosive. It is dense, soft, malleable and ductile metal. The symbol Au is from the Latin: aurum which believed to be interpreted as “glow” or “shining dawn”. Do you know that according to the World Gold council, a typical cell phone may contain 50 mg of gold, worth about 50 cents. Many people mistaken the dollar bills in our wallet or numbers printed on our bank statement as money. It is not. They are currencies. Currency is a medium of exchange use to represent money. It is a unit of account, portable, durable, divisible and fungible (interchangeable – in other words, same amount of $ can buy same amount of goods and services). Money has the same properties as currency but on top of that, it is a store of value and supply cannot be increased indefinitely, so that it maintains its purchasing power over a long period of time. For this reason, you cannot really print money (or gold/silver), but you can print currency. Gold and silver stores value and cannot increase its quantity easily in oppose to currency where supply can be manipulated and does not store value. Therefore Gold and silver have stable purchasing power compared to currency. Since 1971 up to today, we are in Fiat Currency standard. This means that currency is not backed by money (such as gold or silver) that stores value. Fiat in Latin means “let it be done” “it shall be”. We also refer it as paper money that is legal tender declared by the Federal government. Fiat currency has no intrinsic value and will eventually lose its value when the central bank lose ability or refuse to guarantee its value. The oversupply of Fiat currency will then result in hyperinflation before the value of the currency drops to zero. This happened in Zimbawee in late 2000s, Yugoslavia 1990s, China 1940s and Germany Weimar Republic 1920s. In modern times, there are more than 600 currencies that are no longer in circulation. Of these more than 150 currencies are destroyed due to hyperinflation resulted from the oversupply of currencies. The rest are revalued, or destroyed by military occupation/liberation, renamed due to political reasons or converted to another currency. For 4000-5000 years since the Egyptian and Chinese era, gold has been widely accepted as money. In ancient times, it is however more difficult to effective apportioned gold and silver due to the lack of standard of measure. It wasn’t until around 600 BC, when many historians believe that the first gold coin of equal weighting was invented for trade somewhere in Lydia. This means that it becomes fungible. In other words, interchangeable such that goods and services can be priced in gold or silver coin. During that time Athens was one of the leading centres of trade and prosperity in the region and soon the Athenians were the first to monopolise the currency supply by converting gold and silver into coins of equal weightings. Athens hence became the first free market society where money were commonly used for trade. Around 429 BC, Athenians then got into the Peloponnesian war with Sparta. Due to the War, Athens lost access to many of their gold and silver mines being invaded by their enemy. Athenians also had to pay their armies who were on foot and miles away from Athens. To fund these armies on foreign territories, gold coinage was transferring out of Athens to pay the local populations. A deflation soon occurs in Athens. As a consequence, Athenians started debasing their currency. Gold was mixed with copper to mint more coins. For instance the Athenian government will receive tax of 100 gold coins but because of the mixing of copper into gold and silver, they can spend 200 coins. That is DEFICIT SPENDING, meaning spending more than what one can produce. Initially people are ok with the debased currency but until there are so many of these coins that people starts to worry. People tend to save the things that are rare and spend the things that are common in the circulation first. This phenomenon is known as Gresham’s Law where “bad money drives out good money”. So gold and silver becomes rare and copper coins everywhere and it will take several copper-mixed coins to buy a gold coin. Eventually the copper coins become worthless and hyperinflation took place. This is the first known case of hyperinflation in the human history. In modern times, The British West Indies was one of the first regions to implement a gold specie standard. This standard simply means circulation of gold specie coins or other valuable metal with a monetary unit attached to it. From 1880 to 1914 (WW1), United States was on the classical gold standard. All US dollars printed were backed by gold i.e. a 20 US dollar bill is backed by 20 dollar worth of gold or silver. For example if you refer to the below $20 US bill, it clearly stated that “in gold coin payable to the bearer in demand”. Effectively, currency then was similar to a "claim check" representing $20 of money in gold / silver payable on demand. During this period, inflation averaged only 0.1 percent per year for US. Towards the end of 1913, the world economy was not in the best shape. Federal Reserve was set up in US then with the authority to issue Federal Reserve Notes (now commonly known as the U.S. Dollar) and currency was not backed by gold for a certain period of time. In periods between the wars, many variations of Gold Exchange Standards were used. This means that each unit currency is backed partially by gold. In 1914 during WW1 in order to finance the War, many European countries were in deficit spending and have to abandon or suspend the gold standard. Price levels doubled in Britain and US, tripled in France and quadrupled in Italy. It was only until 1925 that Britain repealed the gold specie standard and created the British Gold Standard Act 1925 i.e. Gold Bullion Standard. Under this standard, gold bullion is sold on demand at a fixed price exchange for the circulating currency. Many countries followed Britain and return to gold standard. The subsequent years were relatively stable but in deflation. The gold bullion standard ended in 1930s, when the Great Depression hit during 1929-1939. Sterlings were devalued by speculative attacks then and forced Britain to abandon gold standard, so that they can employ Monetary Policy to stimulate their economy. Essentially this means increasing money supply and lower interest rate. US participation of the two wars was minimal in comparison to Europe. In WW1, USA did not participate in the war until the last 6 months. During the WW2, USA real participation only came in 1941 when Pearl Harbour was attacked. In contrast Europe took young men to become soldiers. Factory were used for producing machines and weapons for the war. Basically the entire economy was geared into war. As a result, Europe had to purchase consumer goods from USA with gold and silver leading to flow of precious metals into USA. In 1943, USA national income was 142 billion double that of 1939 (71 billion). It was triple that of 1933 (46 billion). By the end of WW2, USA has 2/3 of the world’s gold and rest of world has 1/3 and Europe almost has none. USA had also loaned huge amount of US$ to Europe and Europe countries were flooded with dollars. Therefore the world was flooded with US$ while USA was so rich flooded with gold and silver. After the war in 1944, due to the inadequate of gold supply for reserve purposes, almost all major countries in the world (United States, Canada, Western Europe, Australia and Japan etc) with the exception of few met at New Hampshire to establish the Bretton Woods system. The Bretton Woods System is a “Gold Exchange Standard” that most global countries’ currencies will be backed by US$ and US$ in turn will be backed by Gold at $35 per ounce. Essentially since the establishment of this system, there is nothing known as Forex which gives the world stability and low inflation. There is however a flaw in the Bretton Woods system. No reserve ratio was established. So over the years that followed, USA keeps printing money. This is almost inherent to human nature of greed. USA was in huge DEFICIT spending during periods of 1960-70 when they were involved in Korea and Vietnam Wars, as well as the launched of President Johnson Great Society programs. As a result, the Americans expanded currency supply. During this time, USA has created 12 times more dollars than they ever created before. US dollars loss its value and there were insufficient receipts for gold. In other words, USA spent at the expense of countries who were receiving the dollars in exchange of the goods and services they sold to USA. This is truly a fraud. In the late 1960s, France President Charles de Gaulle soon realized that USA do not have gold to back the dollars. France asked for their gold and from USA in exchange of the dollars back to USA. Soon other countries follow suit. This resulted in a bank run on gold for USA in which she lost 50% of its gold from 1959 to 1971. Fearing that US will eventually run out of gold and go bankrupt, U.S. President Richard Nixon ended international convertibility of the U.S. dollar to gold on 15 Aug 1971. Since 1971, international monetary system was made of pure FIAT money which means currency not backed by the value of gold, silver or other commodity. US hit double digit (13.5%) inflation in the 1980, something that had not happened during gold standard which average on 0-1% per year over long term. 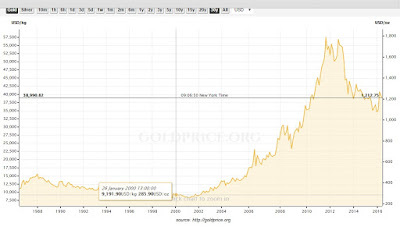 We can also see that since the millennium, Gold has increased from around $280/oz to a peak of $1,800/oz in 2011 before it settles around $1,200/oz today. This is an indication of how much Fiat Money has lost its value since the depegged from the gold standard. A common objection to the Gold or Silver standard is that there can be random demand and supply curves shocks to the precious metals, thereby making the purchasing power of the metallic money unstable. Nonetheless history proves otherwise. In 1849 during the California goldrush, there were oversupply of gold globally, but the inflation rise in about 8 years thereafter is only 1.5%. In fact later the supply of gold contracted as the world output increase faster than the supply of gold. This is known as “market self-correcting mechanism”. Some blamed the Great Depression as caused by the gold standard because of the lack of flexibility of central banks to expand money supply! However there are other school of thoughts saying that because of Britain abandoning the gold standard, credit or debts which were already heavy in the 1920s went exploded in the 1930s and causes the eventual collapse of the economy. Many avid gold standard supporters believe that the objection of gold standard was almost always because Federal government were in deficit spending and needed to print more currencies to cover their short-all. Sorry for the very long article here. History can be boring if you are not interested. However, often if a person can look further into the past, the further he or she can look into the future. This is also because history of mankind often repeats itself, as human nature is inherent since our evolution. yes indeed. Create out of nothing! Wonderful article, it should be recommended to reading all financiers and economists. Who cares to read about coins http://violity.net/. What would be the most to understand the importance of ancient coins today.